To properly analyze Star Wars: The Last Jedi, you have to go beyond the trappings of fandom and look at the movie as a part of a larger product of Disney/Lucasfilm storytelling. Approaching this as anything other than a corporate juggernaut mainly concerned with moving merchandise and building the next generation of consumers will result in total anger, confusion, and regret. This might sound cynical and cold, but it’s only the acknowledgment that Hollywood cinema is big business and sometimes actual art will slip through the image factory despite their best efforts to curtail imagination and wonder. I’m not saying The Last Jedi lacks imagination or wonder, but there’s definitely a middling corporate influence throughout the movie that simultaneously keeps the movie in an inoffensive zone of bland character moments while setting up Rian Jonhson’s long-term vision for the Star Wars franchise. What makes The Last Jedi interesting, though, is that it deliberately erases the nostalgic underpinnings of the Star Wars saga being about the Skywalker clan. Now this is where you see a lot of online outrage regarding The Last Jedi (even when you remove the knee-jerk right-wing racist backlash to the movie being “too diverse“) with the main complaint is that it “feels different” than previous Star Wars films. There seems to be different rules in this movie. Suddenly, no one from the Original Trilogy is safe. None of the original cast behaves like they used to (with the exception of Han Solo and Chewbacca, and we saw what happened to Han). 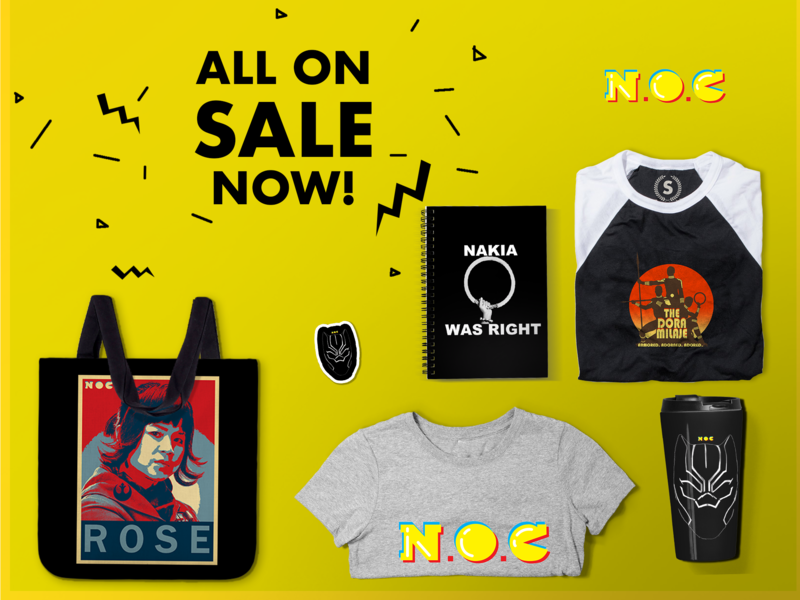 Leia is a disconnected bureaucrat fighting for a rebellion she’s incapable of saving while Luke seems like a raving homeless man living on a distant island with frog nuns. This is an important element because Lucasfilm wants to get beyond “HOW YOU REMEMBER THEM.” There’s an interesting thread running through The Last Jedi about how people are remembered and how legends are formed. There’s a repeated line about the resistance being the “spark” for hope that will eventually destroy the First Order. The theme here appears to be that heroes of the past should be used mainly as a guide for future salvation but we need to realize when these heroes have outlived their usefulness. There’s a push for the Original Trilogy heroes to step aside and allow for new ideas and new ways of behaving. The big war online seems to be between those who can move on, and those who cannot or will not. At the age of 43, I’ve learned in the last 5 years to let go of the very toxic mentality of NOSTALGIC OWNERSHIP. Just because I loved a consistently evolving corporate franchise in the early years of its development does not mean I have a right or an ability to control what the actual owners do with it. Just because I loved a consistently evolving corporate franchise in the early years of its development does not mean I have a right or an ability to control what the actual owners do with it. Nostalgic ownership is dangerous, petty, infuriating, exhausting, and ultimately pointless. If you don’t own it, complaining endlessly won’t change anything. So, about the movie itself… The Last Jedi feels like a piece of a larger puzzle. I don’t believe it can stand on it’s own as a full on cinematic story. That’s only a problem in the pre-shared universe days of cinematic storytelling. Now, it is expected that large-scale, major event tentpole movies will bleed into sequels, side-stories, novels, comic books, video games, and podcasts. As a piece of a corporate franchise, it does a good (not perfect) job of putting all the chess pieces into place. With the exception of the overlong and ill-paced Canto Bight casino adventure with Finn and Rose, everything else fell into place with style and power. All the scenes with Luke, Rey, Kylo and Snoke crackled with intensity and repercussion. Mark Hamill and Adam Driver give excellent performances alongside Daisy Ridley who is clearly coming into her own as a dramatic actress. She’s got the face of a silent movie star and that’s a great compliment. 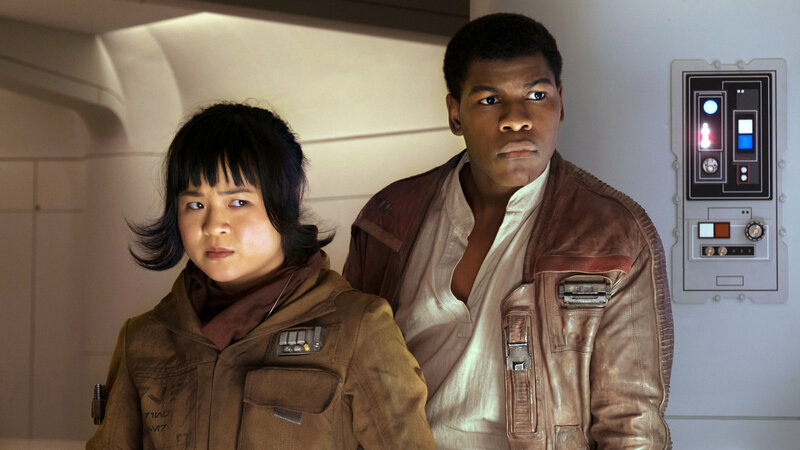 John Boyega, Oscar Issac, and Kelly Marie Tran were also a lot of fun to watch, and it was nice to see Poe Dameron get a little arc of his own as a soldier learning how to be leader in the face of impossible odds. One of the things I have a problem with as a narrative strategy is the lessened degree of galactic politics in the story. The Prequel Trilogy was centered around how the Empire was formed. The Original Trilogy was centered around how the Empire was destroyed. The new trilogy is less concerned with the galactic situation than reworking how the Jedi operate and what is the true nature of the Force. That would be fine if there was more of a explanation of what happened to the New Republic in The Force Awakens. Remember that scene when Starkiller Base blew up those planets? Turns out that was the complete eradication of the New Republic. The First Order murdered billions of people in that moment and destabilized the galactic political structure. There appears to have been NO BLOWBACK from their actions. As this movie begins, we’re learning that the entire resistance movement is down to a few hundred people who are currently on the run. As an audience, we should be more alarmed at this situation but there’s no dramatic weight given to how bad things are for the heroes. Further on this point, major Original Trilogy characters like Admiral Ackbar are wiped out and there’s no reflection on their loss and their deaths are treated as an afterthought. It was as if Rian Johnson didn’t care how old school Star Wars fans would feel and that attitude seeps throughout the movie on every level. At the same time, The Last Jedi gives the old school community a chance to say goodbye to Yoda, Luke and the traditional structure of the Star Wars movie. I’d never seen flashbacks used in a Star Wars movie, this narrative trick worked extremely well as we’re given the perspective of the unreliable narrator between Kylo and Luke’s recollections of the fall of the Jedi Academy (another major moment completely glossed over and deserving of further exploration). What do we have by the end of The Last Jedi? We’ve got a mixed bag of missed opportunities to flesh out the current galactic status quo.The lack of explanation on the fall of the New Republic, the importance of the Jedi temple tree (and also the Jedi scriptures), the weird way that Luke Skywalker leaves us and the awkward handling of the deaths of major characters from the Original Trilogy are definitely problematic. However, the characters of Rey, Kylo, Finn, Poe and Rose get to take center stage and their characters grew considerably beyond where we first saw them. If the message of The Last Jedi is that old school heroes are important for the sake of inspiration and little else then Rian Johnson’s vision for the Star Wars saga was a success. 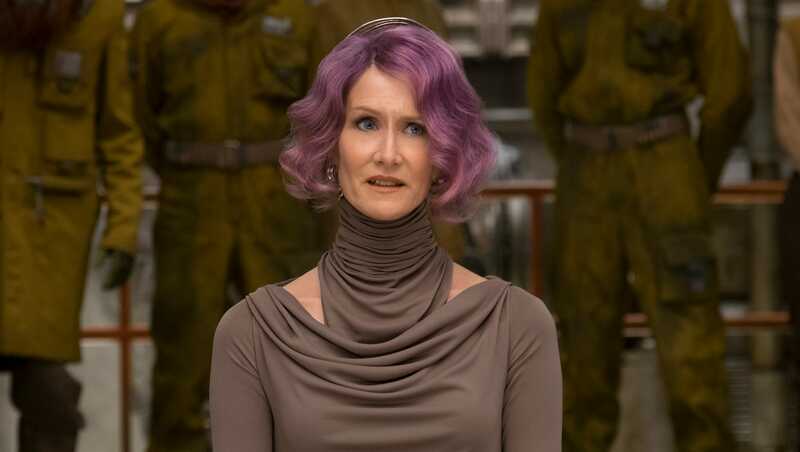 If there was any other message in the movie, it got lost among the big SFX battle scenes and internal power struggles between Laura Dern and Oscar Issac’s characters. For the original generation of Star Wars fans, that’s going to be the hardest part. I agree with some of your post….the danger of nostalgic ownership. That being said, I was sitting through the movie, not really enjoying it, wondering why, and after an hour realized “this movie just isn’t fun.” Sitting through it was like “doing my duty” as a Star Wars fan (I’m 44 and have been a fan my entire life). I’m an old curmudgeon? Fine. But my kids? Who are under age 10? They were ho-hum about it as well. And they are HUGE Star Wars fans. They had nothing to say about it afterwards…no excitement, no interest, just “yeah, glad we saw it; sure we liked it.” But nothing worth talking about? And they’ve been watching YouTube trailers of this film for months, excitedly anticipating this movie. Yesterday, I watched Guardians of the Galaxy 2 for the first time, and it was more fun, more “Star Wars,” than this film. Hell, there was more emotional resonance at the end of THAT for me (with Yondu’s death) than with Luke’s! That’s kind of outrageous. For such a huge production, giant money-making franchise, I expected more. Some pretty set-pieces, sure, but mostly a lot of wasted space and wasted opportunity.